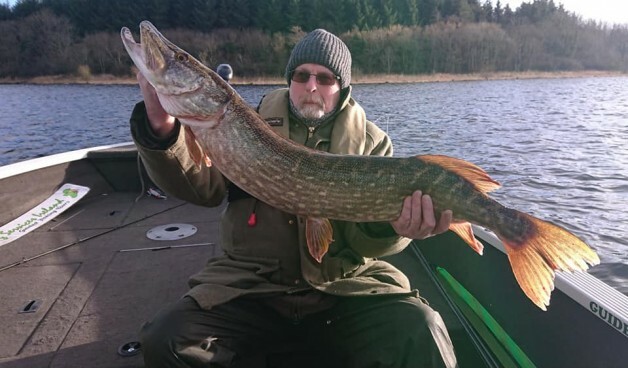 So, our fishing season 2019 has now officially started and we were of to a good start right away when repeat visitor Steve from Essex, UK, hooked and landed the first fish of the year for us and at that it was a Meter+ pike of 102cm. His fishing partner for the day Johnny also got himself a nice fish, a double, measuring 93cm. Not a bad start for what was not much more than a half day. I am looking forward to seeing a lot of familiar faces again this year and of course we are also looking forward to meeting those who have booked with us for the first time.